A joy to hear Paul Kelly on RP,,recently attended a open concert air concert in Perth . he had Steve Earle as a backup artist...more of both please. 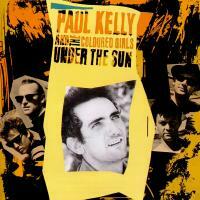 all new fans to paul kelly should check out his GOSSIP album... his best IMO. Yowza! Back of the rack or what? I love how RP takes me back to "the good ol' days" of the 80's. Thank you! Nothing better than Mr Kelly blasting out if the stereo whilst lounging in the pool in the middle of the Brisvegas heatwave. A real oz legend. Brizvegas, the bane of Briz civic community. Haven't heard much of his recent music, but his albums from the mid to late 80s and the early 90s are outstanding. Great stuff! More would be welcome here Bill. Whoa...recognized this voice in an instant. Would love to hear something from "So Much Water Close To Home" Bill. A great Aussie talent and still going strong. doesn't sound that old- nice. More Mr Kelly Bill. Thanks. Great to hear this one! A nine.